She Was the First Lucy, but Where Is the Love? Mary Kay Stearns passed away November 17, 2018, but her death went unreported until earlier this year. Who was she? Only the first Lucy. Born October 27, 1925, Stearns was a theater actress who appeared on TV in 1947, where she modeled garments. 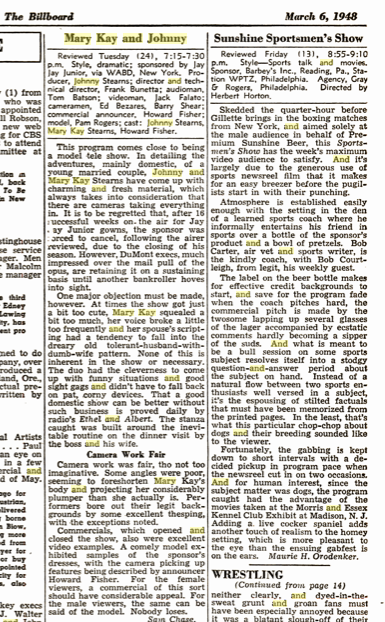 Her husband, John Stearns (1916-2001) suggested the clothing manufacturer instead sponsor a fictional show, leading to the November 18, 1947, debut of Mary Kay and Johnny on the DuMont Network. The show ran for three years, also airing at times on NBC and CBS. Though this formula — young, real-life couple — had been tried many times on radio, the show was a bona fide TV first, and was probably the first sitcom of any kind, with each of its approximately 300 episodes running 15-30 minutes in length (no audience) as it entertained with cute stories of a young couple's life. 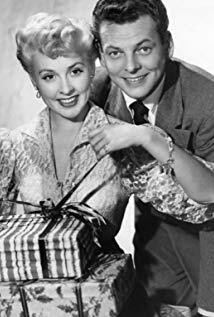 The comparison to the iconic I Love Lucy (1951-1957) is not a lazy one — Mrs. Stearns became pregnant in 1948, and they simply worked it into their show, airing an episode about their son's birth the night he was actually born. 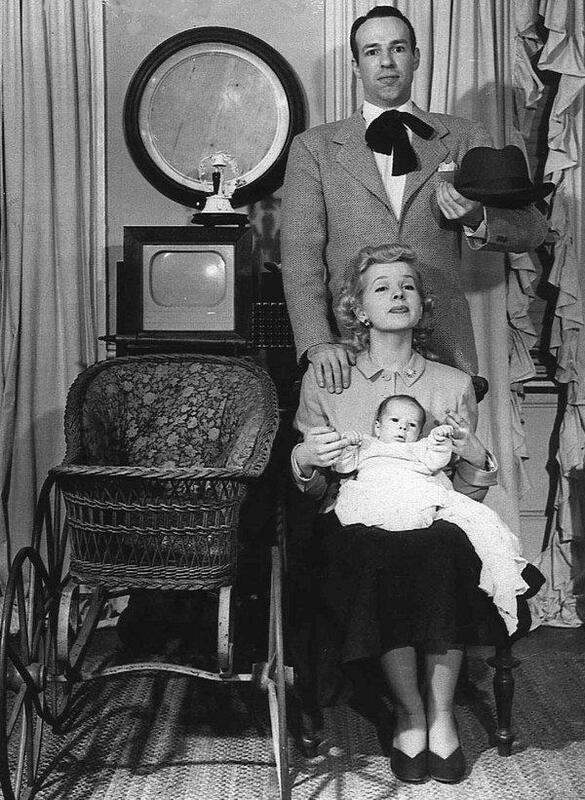 The series even showed the father character in a waiting room, and then introduced their real-life son, Christopher, days after his birth. For many years, Christopher Stearns (b. 1948) held the distinction of being the youngest person ever shown on TV. Mary Kay and Johnny's characters were also shown sharing a bed, something Lucy & Desi couldn't do just a couple of years later. It's as if TV was so new the powers-that-be weren't in agreement quite yet about what could and could not be shown. The medium was in its infancy, and its reach had not expanded; a gimmick on the first telecast designed to get viewers to request free, promotional pocket mirrors from sponsor Anacin was for the first 200 respondents — and it led to over 8,000 requests overnight. Mary Kay continued acting for only a few more years, never dwelling on the trailblazing aspect of her early, and brief stardom, while John became a producer. They are almost entirely forgotten, even within the TV industry. My post today on Instagram marked the first use of the #MaryKayAndJohnny hashtag. While posing with her husband in a 1997 feature on early TV, Mary Kay said of her contributions to TV, "Television was just one of those things you did to help pay the rent while you were looking for a real job in the theater." Don't feel bad if you haven't seen any Mary Kay and Johnny episodes — almost none exist! Early episodes were aired live, and while the 1948-1950 episodes were preserved on kinescopes until 1975, DuMont's purchaser, Metromedia, reportedly tossed them, along with countless other irreplaceable relics, into the East River. ‪The Paley Center for Media‬ has one intact, 14:26-long, 1949 episode, and some fragments of others are thought to exist ... somewhere.